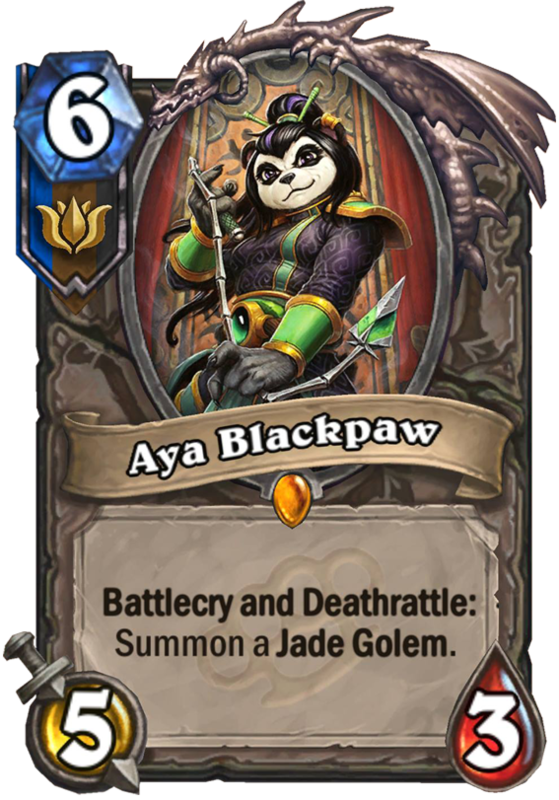 Aya Blackpaw is a 6 Mana Cost Legendary Druid, Rogue, Shaman	Minion card from the Mean Streets of Gadgetzan set! Battlecry and Deathrattle: Summon a Jade Golem. 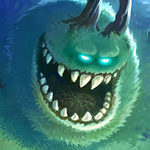 Though young, Aya took over as the leader of Jade Lotus through her charisma and strategic acumen when her predecessor was accidentally crushed by a jade golem. Rating: 4.5/5. From 1182 votes. The first Jade Golem you summon will be a 1 mana 1/1, the next one will be a 2 mana 2/2, then a 3 mana 3/3, etc. The mana cost stops at 10, but the attack and health continue to increase. That’s a lot to ask for, try arena grinding? So… this is just a better Cairne for Jade decks? Seems dece. I think jade Druid will be a thang. This card is not as great as it seems as a 3 health minion dies to almost everything. The Jade Golems are pretty strong even if you build a deck around it. Just one other Jade golem card in your deck is required to make this a phantastic arena card. It’s pretty good IMO, it’s like summoning mini cthun a couple times. Not that bad tho, just alone for 6 mana you get a 5/3 body + 1/1, and then a 2/2. 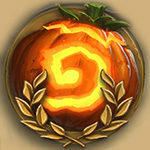 In numbers its 6 mana for a total 8/6, increasing by +2/+2 for every golem you generated before. I have a question. In what way does the increasing mana cost have a significance? If you can only get jade golems from spells and battlecries/deathrattles why do they need to have a mana cost? If something like Sap or any other card returns it to your hand it would need a mana cost. It would matter if the Jade Golem was on the board and those cards were played on it. Finally! A Nzoth-able deathrattle card!! Dafuq is a jade golem? I added it above, but here’s the definition: The first Jade Golem you summon will be a 1 mana 1/1, the next one will be a 2 mana 2/2, then a 3 mana 3/3, etc. The mana cost stops at 10, but the attack and health continue to increase. Can’t wait to see what rogue brings to the jade story. 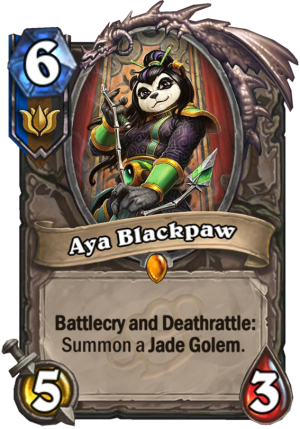 With shadowstep and shadowcaster, “jade” could actually be a new archetype depending on what else they give them!